The council is blaming a “broken bus market” after it has been forced to cut some of the routes around the district it subsidises. From Monday, a number of services running right across the area which are funded by the council will either be withdrawn, revised, reduced, replaced or run on a “use it or lose it” basis by commercial bus operators. Operator First is withdrawing the X86 and 24, which run through the Bonnybridge, Banknock and Denny communities, but the X39 and 4B buses will operate as alternative services for these routes. 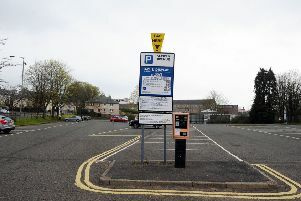 Residents in Reddingmuirhead have criticised the decision to withdraw the fully subsidised 13 service, however, the council has re-routed the 25 for this route. A public meeting has been organised for Tuesday in Shieldhill Welfare Hall at 7.30pm when council officers will answer questions at the request of local community councils. Councillor Craig R. Martin said: “The bus subsidy budget is coming under increasing demand as First withdraw services and people look to the council to help maintain them. We are now funding buses in areas that never needed it before.